When it comes to dependability, nothing shields your feet quite like a pair of work boots. Taking the proper protection measures with your footwear can greatly reduce the threat of injury, bodily harm, fatigue, and other such beneficial mentions. With the many different selections scaling the marketplace, it is important to prescribe the right pair for the desired work space. Below is a detailed look at 24 different products, with a sampling of selections extending from each subcategory of work type. Beyond the products, we also present a detailed buyer's guide that helps to pin point areas of focus for a successful purchase. We also help to answer a few of the burning questions that may puzzle users in the selection process. We start with the product reviews. The work boot selections have been narrowed into 8 separate categories of use. Here are the categories in the order we have presented them: steel toe work boots, composite safety toe work boots, insulated and waterproof work boots, construction work boots, concrete work boots, slip on work boots, lightweight work boots, and winter/cold climate work boots. Skechers is mainly known for their production in the athletic footwear space, but they have been steadily expanding to cover different avenues of need. Their Workshire Relaxed Fit Steel Toe model is the perfect fit for those looking for excelled comfort out of their day-to-day work companion. This model is designed with full grain leather, giving it a smooth look with properties to prevent abrasions and resist moisture. Elegant stitching helps to separate active components of support, teaming panels with specific areas of the boot. Side-by-side paneling at the midfoot helps to increase support at the ankle region. To support the heel, a stitched heel counter places the heel in a locked-in position. This helps to reduce twisting and turning and keeps the user operating in an effective, upright position. The rubberized outsole features detailed lines of layering. These layers act with properties that would be like that of a supportive midsole. This helps to reduce shock at the source and creates an even platform for proper footing. The undercarriage of the outsole features the thick grommet extensions. This helps the user scale uneven surfaces. The rubber is also treated to help resist slippage on oily or slick surfaces. The interior of the boot is lined with a thin, mesh material. This helps to keep within breathability standards and reduces moisture build-up. The insole is treated to the memory foam design Skechers has become known for. This contoured insole directly targets the pressure points of the foot, surrounding them with cushioning comfort that keeps fatigue away. When it comes to constructing sound products for the working environment, few do it better than Caterpillar. This company has excelled in all areas of work support, providing anything from heavy machinery to footwear products for jobs with a physical reputation. Their Second Shift Steel Toe work boots are crafted to meet all the rigors of a hard day's work. The main material utilized for construction is leather. The leather is coated with sealant, helping to wick away moisture and give the boot a rugged look. This model uses heavy amounts of welding to piece the components together, helping it to stand up to the test of time. The interior of the boot is lined with Climasphere technology, which keeps the feet cool, no matter the working environment. This material is partnered with a contoured insole, keeping the foot comfortable during movement. The outsole of the boot is made from a thick rubber material. The design features grommets that extend to the ground, helping apply the right amount of traction for ample stability. The outsole is also treated with a slip-resistant coating, helping you scale a multitude of surfaces. The collar sits plush overtop the foot, helping to increase holding at the insertion point. The collar is lined with padded materials which feature a synthetic covering for a flexible fitting. The welded construction hosts three layers of shock absorption, limiting the pressure placed on the foot. The steel fully surrounds the toe box, extending to the midfoot for ample protection measures. The steel also comes ANSI certified, rendering it a top contender for any type of working environment. Timberland is a company that has specialized in the footwear space for many years. Their focus is narrowed to a family of boot selections, catering to the different work spaces of need. Their Pit Boss Steel Safety Toe model is the leather, waterproof model we can all stand behind. This boot features a high focus on comfortability, with a few different measures of intrigue. The first is the polyurethane midsole. This midsole creates cushioning properties at the undercarriage of the foot and is a direct resistor to shocks and pressures. Resting directly under this portion is the nylon shock-diffusion plate. This plate is responsible for limiting the amount of pressure you feel with each step, allowing for longer periods of usage. Layering these two components also helps create a foundation for increased support that extends from front to rear. The leather outer shell is treated to wick away moisture and helps to prevent penetration from sharp objects. The upper is treated to the same leather design, which helps increase lockdown while also keeping comfort as a top consideration. The thick, padded collar works to create flexibility in fit, allowing for the user to gain easy access into the boot. The toe box is also designed in a roomier fashion, allowing the toes to splay naturally. The steel covering completely surrounds the toe box and extends into the forefoot, increasing the protection coverage. This steel comes ANSI certified, allowing the user to host usage in a multitude of work settings. Carhartt has been a model of consistency for their years of servicing the working class. Their products have reached all realms of the imagination, leaving footwear as a telling sign of their flexibility. Their Ruggedflex Safety Toe work boot is the high-top coverage we desire for complete coverage and protection. This model is made from a full grain leather, hosting a rugged look to fit the title. The shell is treated to Storm Defender coverage, a proprietary notion that helps these boots stand up to whatever weather conditions come your way. The boot is insulated with a Thinsulate mesh, which helps to keep moisture from building and keeps you foot cool under all working conditions. The heel cup and toe cap feature additional abrasion resistant coverage, keeping you protected from front to rear. The outsole features the Rugged Flex design. This rubberized component is built on 5 layers of cushioning, keeping your foot comfortable for extended periods. Pressures become effortless glides when your stride, leading to pillow-like softness greeting the undercarriage of the foot with each step. The safety toe comes ASTM approved, holding the standard in construction and durability. This high-top rise fully houses the foot up the calf, increasing the wide range of jobs it can be utilized for. When it comes to high-end quality and production, no one does it better than Thorogood. Their years of service have lead to production increases that scale all work spaces, with a dedication to product improvement and featured inclusions. Their Emperor Composite Safety Toe model is a tribute to their continued success. This model is made primarily from treated leather components, creating a smooth and solid shell. The shell is fused to the outsole and midsole components via a solid weld, holding this model together for hosting a proven track record of usage. Keeping comfort at the top of the conversation, this model introduces a Poron 4000 comfort cushion directly under the insole. The insole is made up of polyurethane material, which allows it to host properties similar to that of a memory foam. This insert is also removable if you wish to add your own orthotics. The uppers are treated to the same leather design, holding pat for increased stability around the ankle and standing up to the test of time in durability standards. The composite toe meets the required ASTM standards and it completely covers the toe box. The toe box is also widened for increased comfort surrounding the front of the foot. The outsole is designed using Thorogood's MAXwear Wedge technology. This design keeps the base even-keeled, adding elements of support that extend from front to rear. The interior is lined with Cotton Drill material, keeping the feel soft to the touch and reducing moisture build-up. 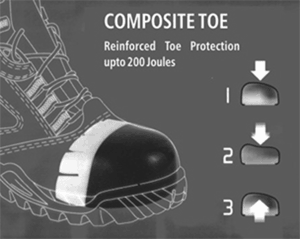 To better help accommodate the overall weight of a boot, the composite safety toe was developed. Creating a model to fit this mold is Danner, a company that specializes in different areas of work boots. Their Vicious NMT Composite Safety Toe model is the standard for progressive wear and long-term consistency. This model is constructed from durable leather and is reinforced at every location. This model also holds Danner's Trailguard technology, which keeps the overall weight of the product low, hosting lightweight movement. The heel cup allows for proper fitting at the back of the foot. It keeps your heel locked down, preventing unwanted shifts and twists. It also surrounds your heel with a thin layer of padding for comfort. The interior of the boot is treated to a Gore-Tex liner, which is completely waterproof. This helps to keep moisture away from the foot and creates a stream of positive air flow. The toe box of this model is widened for natural toe splay. The midsole is treated to a dual-density design, housing two layers of comfort made from EVA materials. This lightweight material is also a major defender to shocks and pressures, smoothing the ride for the user. The outsole is designed via the proprietary Vibram Vicious mark, housing components that resist slippage and apply traction upon oily surfaces. The heel cap of the boot is also abrasion resistant, making it an all-around solid defender. The safety toe is designed from purely composite materials, hosting the non-metallic notion for lightweight protection and security. When it comes to outdoor dependability, no one does it quite like Wolverine. Their strive to improve products for a growing marketplace places them near the top of all boot sub-categories. They host prevalence in the waterproof and insulated work place with their hunting model. The Archer 8 is made from textile, leather, and rubberized materials. The textile shell comes in on the low-end of the weight scale, making these a good fit for all-day wear. The 8-inch rise creates for a long heel shank that helps stabilize the user during movement. This design also helps promote upright movement, keeping the user from ailment in the back and feet. The interior is lined with an Anti-fatigue EPX footbed. This bed is made from materials commonly found in memory foam and gel-built insoles, keeping comfort as a staple of this build. This inclusion can also be removed to add your own inserts or lining technology. The boot rests on a 1.5-inch outsole, which helps relieve the pressure the user feels with each step. This platform is also necessary for creating a stable base, allowing for flexibility in push-off and obtaining the proper yield during movement. There is also a large gap and hike at the arch, supporting an area that is often left out of the design manual. The entire shell is treated to a waterproof coating and a seal is created at the upper with the lockdown tongue. This helps keeps moisture out and reduces abrasions. The interior is also treated to the Thinsulate build, helping to produce a positive flow of air to keep your feet cool and dry under any condition. For taking on the climate surrounded by moist conditions, nothing creates the perfect defender like an insulated, waterproof work companion. Ever Boots has built their brand around long-lasting success in both the marketplace and terms of durability. Their Ultra Dry model is the perfect fit for those looking to combat the rigors of a wet environment. This leather treated mid-rise helps wick away moisture and creates a seal against abrasions. This is accomplished through the company's Sealed-Direct technology. The construction better helps state the case as the leather up completely rises beyond the lace box. This is an important notion as moisture can find its way through even the smallest of gaps. A thick leather tongue is padded to fully compress overtop the foot. This creates an air-tight seal against moisture and helps assist in the proper forms of lockdown. The interior also keeps the waterproof notion with a thin, waterproof membrane. This material has the properties of a mesh, helping to limit irritation. Additional polyester materials are utilized at the interior to give the foot a lightweight surrounding that is both protective and breathable. The midsole of the boot is made from polyurethane materials. This helps provide shock resistance and reduce wear upon travel for the user. The outsole also plays along being comprised of materials that are weather resistant. This allows the user to gain traction on slick surfaces and keep footing no matter the working environment. This all-around waterproofed model is the perfect fit for those who like to keep their feet dry when working with adverse climates. One important notion for this sub-category is that flexibility in usage remains high. This G4U-Climate product is the perfect mesh of material combination and product features to host prevalence in this space. Termed as a short duck boot, this suede, leather, and rubberized combination works to aide against any environment. The suede and leather combination extend from the insertion point to the midsole, providing a weatherproof coating and abrasion-resistant treatments to keep you protected. The midsole and toe box region are both treated to rubberized compounds. This design helps keep the overall weight of the boot light, helping to fit the desired working environment. The upper is also treated to an all-encompassing leather coverage, keeping moisture from reaching the interior and providing lockdown. The interior is lined with Thermolite materials. This material provides a soft cushion to the sides and undercarriage of the foot for a comfortable ride. It also maximizes air flow and keeps the feet dry and cool, no matter the weather. The outsole blends with the midsole and toe box via fused means, hosting a solid construction that can withstand the test of time. It is comprised solely of rubberized materials and is treated to provide the waterproof title. The undercarriage is grooved and hosts small extensions for maximized grip across any surface type. High performance doesn't always have to come at a high-end price tag, a point that is proven by this Labo Construction model. This model is made from genuine leather, keeping protection and durability as staples in design. Side-by-side leather paneling shapes the sides of the forefoot. This provides a simple case of leveling that keeps stability high. The upper is treated to the same leather design. A thick tongue greets the top of the foot. The tongue design is elongated, allowing for an easy fitting as the user can pull stretch this forward and secure it back with lacing. A thick, padded overlay helps wrap around the foot at the insertion point. This collar is made from lightweight synthetics, allowing for the same sense of flexibility at the insertion point. The interior of the shoe is lined with thin insulation. This material is both breathable and removeable, allowing the user to select their level of comfort. The outsole is fused and takes the natural shape of the foot, helping to apply a presence to your movement. This outsole is treated to be both oil and slip resistant, allowing you to host traction on all surface types. The undercarriage features small, spaced grommets that help apply the proper terms of footing, keeping a flexible and reliable base for your usage. This helps you scale uneven surfaces, making it a proper fit for the construction industry. 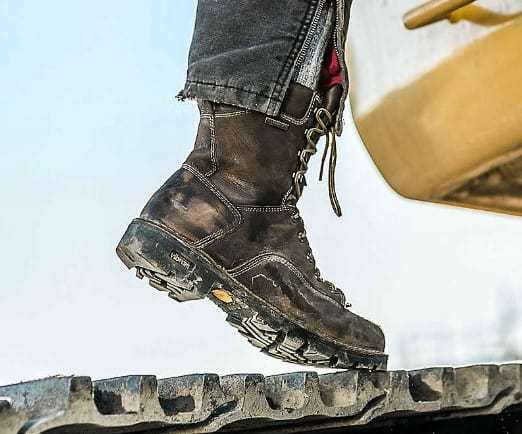 When it comes to construction work boots, it is all about the foundation to work from. A solid base can make a major difference in providing support, stability, and footing. Wolverine has been a proven competitor in this space and their Moc-Toe design applies the correct means for workplace success. The outer shell of this model features the full-grain leather design, a design that is tested and outruns time. Elegant stitching surrounds areas of the outer shell, helping to piece components of the boot for desired usage. One of the main areas of stitching surrounds the toe box. This helps create a large space at the interior, allowing the toes wiggle room and breathability. This stitching is also wrapped around the heel, creating a heel counter that keeps the user stable and far from twists and turns. The outsole utilizes a Crepe design. This helps build a thick foundation for the user to work from without having to worry about a bulky build to weigh them down. The undercarriage of this unit is treated to spaced grooves, giving traction on rough terrain. A thick, padded collar greets the foot at insertion point. The padding extends to surround the foot with comfort and emit the proper levels of lockdown and holding. The spherical nature of the insertion point allows for flexible access and proper holding once secured. A full-cushion foot bed helps to keep the pressures away from the feet, helping to term the all-day wear capabilities of this model. A military convoy moves with precision and every shift is calculated to improve success. This same notion is applied with the design of the Lugz Convoy work boot. This 6.5-inch mid-rise features the ample amount of coverage and protection to keep the foot fully emerged. This manmade build applies a rugged look to a simple platform, keeping the sound construction as the main draw of this work boot. The stitching on the outsole allows for the upper to overlap the lace box, helping to create greater resistance means to abrasions and moisture. The thin shell of the tongue applies a thick padding at the undercarriage. It is elongated, allowing for the user to apply a simple fit. This design also works to provide the proper holding and lockdown to the top of the foot. A thick, padded collar overlaps and surrounds the insertion point. It is made from a flexible material, once again keeping fitting simplistic. The outsole extends nearly an inch from the midsole, keeping a solid foundation for the user to work from. This sole is designed in a natural setting, meaning it tailors to the natural build of the foot. The outsole is also spaced to provide the proper hike in the arch region. This provides a support at the midfoot and assists many different foot types. The undercarriage of the outsole features small grommets that extend from the edges. This keeps the focus on lateral movements while also catering to natural movements. This allows the user to scale uneven surfaces with ease and remain stable under adverse conditions. The interior features a thin, mesh lining and a cushioned foot bed. This helps to provide all-day comfort and reduce upon the build-up of moisture. Servus is our first contender and their PVC Steel Toe model makes for a great fit in the concrete industry. Featuring the fully rubberized build, this model expands upon the design of the base to keep the user comfortable and grounded. The PVC function comes in at the injected mold. This injection helps to keep the materials from deteriorating from chemicals, waste, or other such natural causes. While hosting these solidified properties, the boot remains flexible to fitting, helping the user access it with ease. As we work our way down the shaft of the boot, Servus adds their Comfort technology at the midfoot covering. This helps to provide an ample amount of give in movement and apply comfort pockets within the interior. This cushioning system creates for a smooth ride for short-term and long-term usage alike. The main draw of this model is with the unique outsole construction. This model adds a thick midsole, which is a property that is left off most inclusion lists. This midsole is EVA designed, meaning it hosts the lightweight title and provides shock relief for the user. Resting under the midsole is a 1-inch platform. This platform extends grommets for proper grip across any types of surfaces. It also features an arch hike at the undercarriage, which is uncommon, but beneficial to keeping to the natural mold of the foot. When it comes to hosting success in the concrete industry, there is a shift is design and material usage in production. This is apparent with our second mention: Tingley's Steel Toe Knee Boots. This model is comprised solely of rubberized components, giving it the all-black color scheme. These boots are injection molded to remain completely waterproof, allowing the user to submerge them for long periods without worry. The 15-inch rise provides an ample space of coverage since the job field deals with heavy amounts of submersion. Since the design is purely rubberized, an applied fit comes at no cost to the user, flexing to meet your needs. The exterior also undergoes heavy treatments of reinforcement to prevent rips and tears, holding true to form when submerged under heavy amounts of pressure. The outsole features a rigorous design with grommets, extension spacing, and key coverage. These three implements help the user find an established base that can withstand heavy amounts of pressure. It also helps the user find their traction on any surface. The steel toe component is added to create an additional stream of protection at the toe box. The interior features a thin lining and a high loft cushioned insole. This helps provide comfort throughout the entire build, limiting the irritation as the model rises the leg. The outsole is also self-cleaning, meaning it wipes away debris and keeps consistency even when your feet are buried in concrete. Our last mention vamps up the material usage, adds component parts for functionality, and places a keen eye on product design. The Viking Construction Boot is made from rubberized materials, with canvas and elastics utilized at the insertion point. The upper of this 15-inch model features a canvas padding that extends from insertion point downwards, covering about 4 inches of space. Underneath this padding is an elastic draw string function that allows the user to tighten the boot to the desired pressure. This is a key feature that was not noted within the other models, giving this model an advantage to furthering the limitation of moisture penetration and other such leaking. The boot rests on a thick midsole/outsole combination. The midsole is layered and measures about 2 inches in thickness. This midsole is built from EVA materials, keeping it lightweight, increasing the cushion for the user, and helping in shock prevention. It is layered to boost its properties, keeping a comfortable ride for the user. The outsole meshes to the midsole, providing only a thin layer before starting the undercarriage build. The undercarriage is treated to thick grommets that are spaced to heighten the support at the main pressure points of the foot. It features a complete coverage and plenty of spacing to help wick away debris and prevent build up. The Chelsea design is often utilized to meet a business-casual standard, but Skechers has worked to flip this notion. Their Segment-Dorton design works to implement fashion with long-term durability, partnering forces in a slip-on mold. The boot is made primarily from leather materials, featuring treatment to give it vivid shades of coloring. One of the heaviest utilized functions with this boot is the attention to stitching. There is a large stitching pattern that separates the front of the boot from the back, allowing each section to work independently to provide specific qualities and functions. The front of the boot features a stitched overlay near the upper, acting as a lockdown component for this lace-less design. The second area of stitched intrigue comes at the sides of the upper. Both sides feature multiple lines of heavy stitching. These teamed components help shape the proper mold for side-by-side ankle holds. This patterning has a direct relation to stability, upright positioning, and holding techniques, all playing towards the benefit of the user. The outsole extends nearly an inch from the shoe, creating for a solid foundation for the user to work from. It is built in layers, teamed with a layered midsole that meets up with the outsole. Each layer helps to decrease the impact of shock and improve the smooth ride for the user. The undercarriage of the outsole applies an extended design that works towards the outside walls of the base. This helps keep the user stable and allows traction on all different surface types or surface angles. Our next mention comes from a powerhouse seller in Stanley. Their craftsmanship is top-notch, with their products extending to cover a wide range of the boot subcategories. Their Dredge Steel-Toe model marks for the perfect slip-on companion. The material build extends from 100% full grain leather composition, allowing for the material to hold defense against abrasions and withstand the test of time. Side-by-side elastic gores greet the sides of the foot. This allows for proper stretching for an applied fit and a return-to-form for proper holding. Two pull-on loops are located at the insertion point to assist with placement on the foot. Some stitching is evident to separate component pieces. A large, stitched panel extends overtop the foot, creating an additional resistance piece and reinforcing a proper hold. Stitching is also prevalent near the rear of the shoe, creating a heel counter for reducing pressure and improving stability. The interior is lined with a thin fabric that helps to wick away moisture. This lining also plays an essential role to improving the quality of air flow going to and from the boot. The insert comes in the form of an EVA mold, which represents a lightweight companion to improved comfort and reduced shock. This component is also removeable, allowing the user to implement applied comfort. The steel elements are located at the toe box and the rear heel. The toe box features increased protection and is spacious for proper toe splaying. The heel is treated to this same material to keep a sound shape and increase posture. The outsole is made from a thick rubber mold and is layered to increase the removal of pressures felt. It holds spaced grommets for gripping and is both oil and slip-resistant. As we move into the slip-on space, the focus narrows to three components: function, durability, and design. One of the top producers in the boot industry is KEEN. Their product excellence traces back decades, keeping their long-standing worry of notation. Their Detroit Slip on model is a fashionable take on function. This boot is treated to a Nubuck leather coat, giving it that rustic look and rough feel. This is a deeper tone which protrudes darker shades of coloring. This model comes equipped with a steel toe function that aligns to the right and to the left of the toe box, completing a full-coverage build. The upper is treated to an elastic dip at both sides of the insertion point, allowing the user to stretch the material for an applied fit. This elasticity allows for a return-to-shape bounce after insertion, keeping a solid holding without the lacing component. The outsole is where this boot truly exceeds expectations. This outsole is pieced out in sections to apply the proper mechanisms will backed force. Designed from a rubberized material, this outsole is raised at the heel counter, providing a reinforced backing that helps keep the heel from exceeding the desired range of motion. This strong foundation also keeps the heel cupped within the proper position, limiting unnecessary twists and turns. There is a large curve at the arch, creating the proper fit for regular sized feet. This rise helps keep the midfoot happy and the design adds extra treatments to the undercarriage of the toe box and the heel. The outsole features long, extended grommets that help grip any surface. This bottom is also treated to prevent slippage on oily and slick surfaces. Chemical treatment is also preformed to protect the material from deteriorating, which helps keep the mold of the boot holding strong for extended usage. When it comes to defining excellence in construction, durability, and lightweight function, on one does it better than Red Wing. Their product inclusions have continued to advance the way we see work boots, reaching them to the upper echelon of the marketplace. Their Chukka model is the perfect fit for the warmer climate with properties to advance upon protection and long-term usage. This boot is comprised of mostly leather materials, with rubberized components, nylon, and synthetics also hosting value. The heel is designed with the nylon material, lowering the total weight of the boot. The exterior also features a soft toe cap, which helps prevent against abrasions and keeps the interior comfortable to the step. Paneling is a major draw of this unit, featuring areas of reinforcement at the forefoot, heel counter, insertion point, and toe box. These overlays help secure the unit to the foot, creating the proper lockdown. They are also instrumental means for keeping your foot protected from all the elements the workplace may provide. A thin lining runs throughout the interior, taking the form of a mesh. This lining has holes throughout, creating the proper stream of breathability and air flow influence. The rubberized sole features an athletic design, reducing the thickness and increasing the formatting. This format meets the general shape of the foot, reducing overproduction of materials to create for a bulky design. The padding is secure at the insertion point and is dipped for an easy fitting. 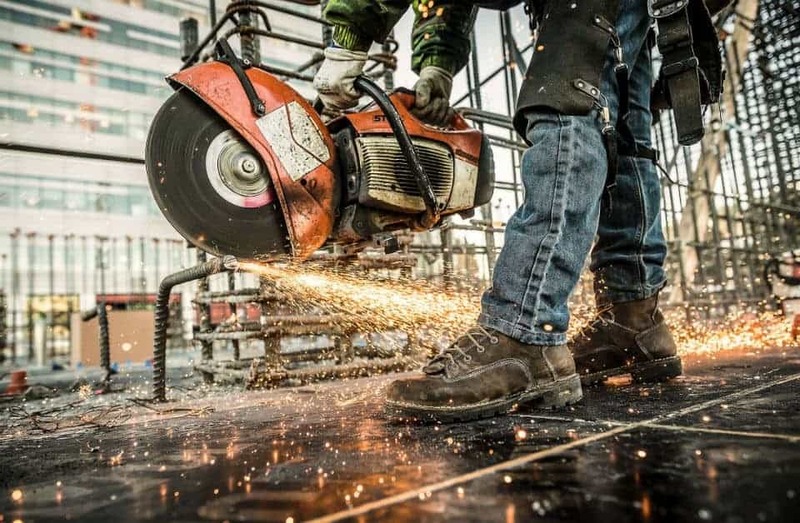 Tactical footwear also holds prevalence in the work place, especially when referring to lightweight, breathable options. Ryno Gear has product lines that expand into the military, holding properties that would support usage in warmer climate working environments. Their Tactical Combat boots are the lightweight companions you desire to keep an effective, all-day stride. These boots are made from leather and ballistic nylon, with the nylon helping to lower the overall weight of the model. This dual-material usage helps create sound protection and reduces the weight you are to travel with. The interior of the boot features CoolMax lining. This lining comes from a breathable mesh that greets all angles of the foot. It helps to wick away moisture and keep the feet cool, no matter the exterior temperature. The sides of the boot are treated to zippers, allowing the user easy access into the model. The upper features a wrap for applied holding, helping to increase lockdown at the user's digression. The interior also features removeable, shock absorbent insoles, helping to reduce pressures or the user find their correct fit. The outsole is a thick, rubberized compound that extends about 1.5 inches from midsole. This unit features a large hike at the arch for proper support in the midfoot area. Rubberized grommets extend and are spaced to reduce debris build-up. These soles are also treated to provide stability on slippery or oil surfaces. Dickies is another major brand extending from this space. Their product lines offer work-specific means for protection and safety, allowing their brand to expand a wide range of outreach. Their Fury Mid Safety Athletic work boot makes for the perfect companion to working within a warmer climate. This model is constructed of synthetic and textile materials, featuring a mold that greatly reduces the overall weight of the product. A cross-pattern design helps create the reinforcement needed to reduce against abrasions and tearing. This helps the model fit the bill that the leather components would possess, bringing strength at a lightweight cost. The interior of this boot is lined with fabricated materials. These materials help to wick away moisture and keep the feet dry. They also work to keep air flowing in a positive stream. Small cuts into the shell also bode well to improve the quality of air flow and breathability. The midsole is comprised of EVA materials, keeping that lightweight notion strong. This element also works to absorb shock and reduce pressures on the feet. It also combines to form a comfort measure, with ample cushioning for a smooth ride. The outsole is comprised of rubberized compounds, featuring treatments to become both oil and slip-resistant. Differing patterning, grooves, and shaping help to form the undercarriage of the outsole. This helps apply a sound grip on differing surfaces and can increase footing across many different surface types. When it comes to applying function to cold climate work boots, it is important to heighten the intrigue at the interior and the outsole. The Rocky Boots Company has featured many years of long-standing in this space, with their expertise scaling to the cold climate space. Their Alpha Force model is the perfect defender against the cold season. This model is made from leather and textile materials, keeping a lightweight mold with increased protection against abrasions and wear. Nylon uppers are used to create lightweight protection. This piece also creates the flexibility needed for an ease in fitting. Leather overlaps are existent at the sides of the shoe and at the toe box for increased measures of protection. The insertion point hosts a thick padded surrounding. This padding extends to the interior, forming into a felt-like material that gently surrounds the feet. This material operates like wool, keeping spacing in design for the proper streams of air flow. It also increases the overall comfort for the user and keeps them warm in cold climates. The outsole is molded rubber that is known as RigiTrac. This design helps to wick away moisture, reduce material build-up at the undercarriage, and reduce the threat of abrasion. The outsole is also treated to become both slip and oil-resistant. The outsole also extends thick grommets for a proper hold and footing across a multitude of surfaces. One of the main influencers of the men's fashion boot space is Chippewa. Their models have helped men find their patterned look for decades, leading their product lines to many instances of success. The strive to expand their brand starts with this utility model that hosts performance in colder climates. This model measures a whopping 15 inches in height and is made from full grain leathers. This construction makes the boot a solid defender from top to bottom and keeps it a fitting opponent for the test of time. The upper features two loops as this model is a slip-on design. Upon insertion, the foot is greeted to heavy amounts of interior padding. This adding utilizes a mesh lining, keeping it as a defender for moisture build-up. The insole of the boot is termed as a FlexWelt design, meaning it contours to your foot like a memory foam would. This creates a padded cushion for relief with each step. The outsole is made from synthetic rubbers, keeping it light. The midsole is teamed with the outsole, creating a dual-force to prevent against shock and unwanted pressures. The toe box houses a composite toe, adding protection to a high usage area. This design also allows for the toe box to feature a height increase, keeping the interior roomy for the toes to sit naturally. The undercarriage of the outsole features long grooves that extend from side-to-side. This helps the user gain traction on adverse surfaces and keeps debris build-up from happening. Another long-standing company in the boot industry is Columbia. Their product lines are known for their durability and their focus on component parts. This Bugaboot Plus model is no slouch, and it hosts many component pieces to hold presence on our selection list. This model features a textile and leather, teamed design, keeping this model durable and lightweight for the user. The outer shell utilizes heavy amounts of welding to seal the pieces together. This also works to prevent seepage, keeping moisture away from the foot. The interior is lined with a heat reflective material. This prevents perspiration from building within the model and keeps the foot dry throughout times of heavy usage. The upper features a sound construction for proper holding and lockdown, with draws from nylon, leather, synthetics, and metallic hardware. The midsole is made from a TechLite material. This material operates and performs like an EVA sole, providing a smooth, shock-free ride to the user. The midsole blends with the outsole to create a dual-layer base for proper push-off and stability. The undercarriage of the outsole features thick grommets, with heavy attention on the heel and the front of the shoe. This spacing helps to contour the pressure points of the foot, limiting the shock the user feels throughout their travels. A proper hike is included at the arch for midfoot support. After viewing our vast assortment of selections, it is important to term the areas of focus for the user. With each subcategory, there are marked components that will feature a stronger build or a greater amount of detailing. This is not done in error, as some categories call for certain inclusions that others will not. This guide is to help you defer between these differences, better helping you understand the areas of focus you need to apply for a certain subcategory of interest. One of the main areas to look at for strength and durability concerns is the material utilized. The strongest of these inclusions is leather. It keeps its form, does not bow to pressures, comes naturally resistant to abrasions and cuts, and offers a lot of slack before deterioration sets in. It should be the number one choice for the user. With that being said, some subcategories benefit from a lightweight build. Boots will never reach the lightweight levels that athletic shoes can, so keep this in mind. To reach the desired level of performance, they must include certain components. As it relates to protection and strength, these components can not be lowered on the scale. A steel toe inclusion can be lightened with a composite model, but these two features would still add weight to the boots. If you are searching for a model that weighs well below the average, you won't obtain a fit for the intensive purposing you desire. Other material builds that relate to strong holding and durability would be textiles and synthetics. These materials can be reinforced to bring similar benefits that leather possesses. When it comes to protecting against the elements, boots will be treated with different, sealed coatings. These coats can help reduce for the emission of moistures and can scale to provide electrical protection. Look for these coatings on the list of product features. Most reinforced fabrics and builds will naturally bring these benefits to the product, meaning some will forget to this them in terms of benefits. As it relates to overall build, a boot that reduces the number of openings creates for a solid defender against elements. Raising the lace box with leather uppers, introducing paneling that extends beyond the insertion point, and thick padding around the collar all represent instances of increased protection. When it comes to steel toe and composite toe models, some products will introduce a toe capping to add form the toe box and help the toes splay naturally. Any steel and composite material inclusion should meet the desired standards of the workplace, meaning they should be defined in the inclusion listing. The main difference between toe types is their overall weight. While many companies can place claims on an increase in function, the difference between these types is so minimal that it does not beg for a description. Out of these toe types, steel is the heaviest material. It hosts the best usage when working around equipment and machinery that is extremely heavy. Alloy comes in at 30-50% less in weight than steel does but holds the same properties. The only difference to prescribed usage would be the user looking for a less bulky build and something that is easier to lug around on a day-to-day basis. Composite toes can be comprised from a multitude of different materials, keeping the overall weight of these models up in the air. Most utilize less weighty options, usually scaling the overall weight of the product to the lowest on the marketplace. The effectiveness of these inclusions relates directly to the amount of coverage they employ. If it is just a capping, it will prevent against stubbing, but won't do much past this point. The models that extend well into the toe box are the ones that help keep the natural design of the toe box intact. This is important to host the proper interior build for the toes, allowing them to splay and preventing cave-in and contusion. It is not uncommon for a company to include shank versions of these materials at the heel. This helps keep an upright mold and improves upon posture for the user. Make sure to term the surface area these inclusions cover before making your purchasing selection. With our list of inclusions, we hit everything from low-rise models to 18-inch behemoths. If you are working around concrete or might be operating in heavy regions of submersion, it is best to go with the higher build. The slip-on or tie notion does not play a major factor if the height is deemed high enough. As you lower the height, you can find better instances of use in the lighter working environments or can cater to the weight of the build. So, when deciding on which height path to travel, keep submersion and work space in mind. Which are the best USA brands? In which features are they the best? Of the brands listed, some of the top brands extending from the USA are Thorogood, Red Wing, Chippewa, Timberland, and Danner. Most of these companies utilize the terrains from the areas of operation to term what functions and features to include. Several companies scale from the Midwest, while the rest chart different locations across the United States. Many of these production companies have been in the business of boot construction for a number of decades, some centuries, leaving their expertise as a staple to production. These models are often man made, paying a close attention to durability and sound construction. These companies have catered to the subcategories listed, so they understand the rigors of the work and can apply their knowledge in a fitting notion. How to choose metatarsal work boots? Metatarsalgia is known as inflammation in the ball of the foot. It is derived from overuse and prolonged instances of limited support. Most of the work categories described above require long instances of standing, causing us to utilize the balls of our feet heavily. To better help combat the development of this ailment, choose a model with a good heel cup or a solid heel counter/heel shank. The Keen slip-on model helps define the correct instance of heel counter. Any model that places high level of reinforcement at the rear or introduces comfort cups at the interior would be the best bet for the consumer. Best work boots for plantar fasciitis? Plantar fasciitis is known as another form of inflammation that occurs where the heel bone connects to the toes. The same instances of usage can be applied to plantar fasciitis as seen in metatarsalgia, leaving boots with the proper heel counters and reinforcement at the rear as the best option for the consumer. How to choose wide work boots? When it comes to choosing between wide and regular sizes, you must take your workload into consideration. If you are working with concrete or trudging through snow, the width doesn't make as much as a difference. Any of the selections extending from these two categories would mark for instances where width can be increased. You desire the narrow or regular options when you are performing more lateral movements, but when you are consistently planted or requiring less motion, the wide options become more beneficial. 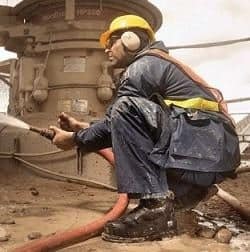 How to choose work boots for summer? When it comes to use in warmer climates, breathability becomes the main concern. Due to leather construction making up the majority of the outer shells included, this extension must occur at the interior. Thin layers of lining that have cuts or holes in them present the best options. Mesh is the most commonly utilized material. Some liners will also have cooling properties and these can be found within our selections or can be purchased and placed separately. After completing our buyer's guide and our extensive product list, it is time to present the top two choices. As it relates to editor's choice, the Skechers Workshire Steel Toe boots present the best overall option. In terms of scaling to the different subcategories of implied usage, this model covers most of the bases. To keep the user comfortable, Skechers utilizes their memory foam inclusion, implementing a foot bed of comfort that keeps the ride smooth for the user on a consistent basis. Light interior liners keep moisture out and the foot dry, hosting success in cold and warm climates alike. As a defender, this full grain leather model also wicks away moisture and keeps a solid mold to stand up to time. A thick, athletic outsole creates seamless movements and proper traction on rough surfaces. It also features the slip and oil-resistant treatment. It houses plenty of the main factors we need to have it represent the best overall selection for the user. As it relates to a value play, the Labo Construction work boot takes the cake. It comes in at half or one-fourth the price of the other inclusions, which leaves the features as a true benefit. It features a simplistic design, hosting a smooth, genuine leather for casual wear and thick protection for work environments. A synthetic outsole makes for a smooth and comfortable ride for the user. It also utilizes an elongated tongue for simple fitting and raised coverage at the upper for protection increases. This item is not one to be slept on, as it can host usage in most of the subcategories listed above. 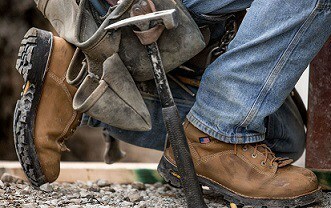 Safety Net: Steel Toe Footwear - Are They Really Safer?